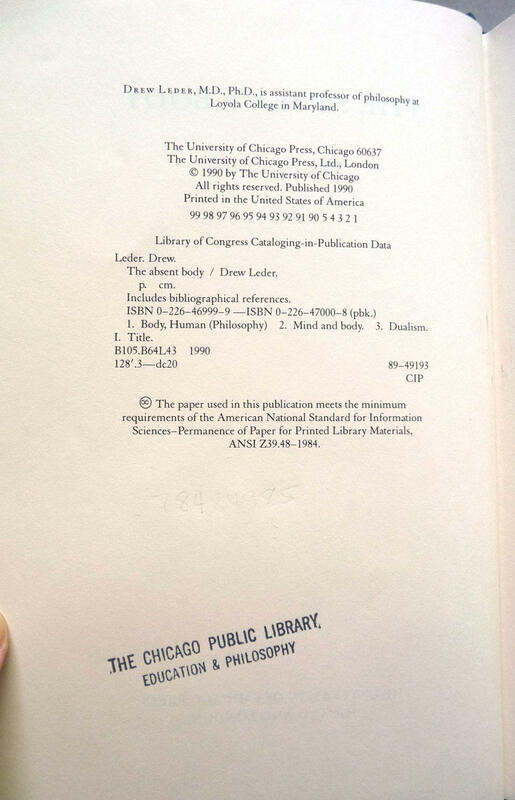 Description: Ex-library book has stamps to top and bottom edges of text block. Sticker & pocket on ffep. Stamps on copyright page. No dust jacket, but protective mylar cover over boards has been attached to the front and rear paste-downs. No outer stickers on boards or spine. 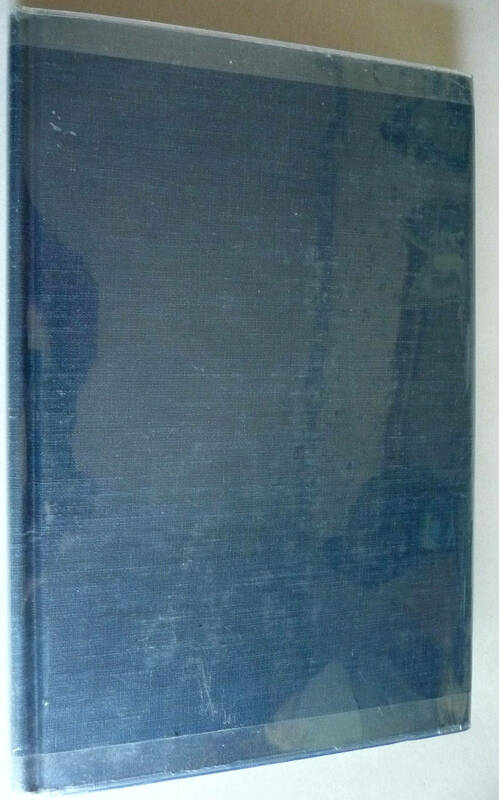 Would be at least a VG+ book without library marks. Upper rear fore edge corner is slightly bumped. No marks to pages. Binding is tight. The body plays a central role in shaping our experience of the world. Why, then, are we so frequently oblivious to our own bodies? We gaze at the world, but rarely see our own eyes. We may be unable to explain how we perform the simplest of acts. We are even less aware of our internal organs and the physiological processes that keep us alive. In this fascinating work, Drew Leder examines all the ways in which the body is absent—forgotten, alien, uncontrollable, obscured.